Quite simply, the most advanced iPhone application ever! 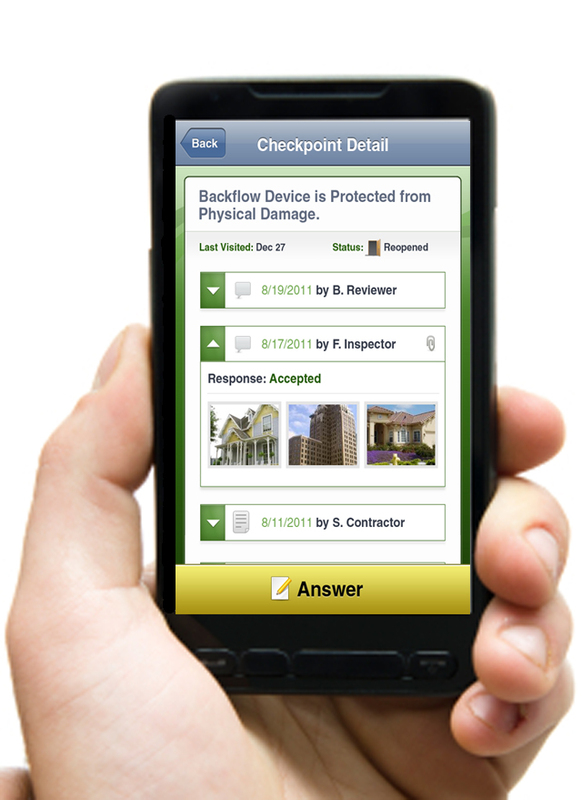 Imagine a tool in the palm of your hand that manages your schedule, identifies non-compliant construction, teaches you about best practices, shares high-res photos with your homeowners, and tracks quality every step of the way. InSite Mobile™ puts the power of Quality and Control into the palm of your hand, and gives you Big Builder Tools at an affordable price–with no I.T. infrastructure investment whatsoever! 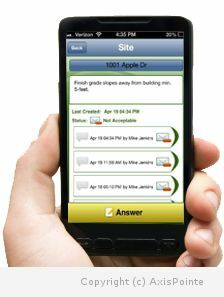 The InSite Mobile™ iPhone application is advanced, but is so easy to use. Since everything operates on our dedicated network of Cloud-based servers and co-locations you never have to worry about computer hardware or archiving. All you need is a computer connected to the internet, and an iPhone4 or iPad in the field and you are ready to go! Start out in minutes by simply using one of AxisPointe’s pre-approved construction templates and checkpoints, or customize your mobile app to suit your needs and specific business practices. Whether your company is battling job site chaos, or you have a well defined and smooth running operation, we guarantee that you will enjoy a positive ROI or your money back! * Only users assigned with a user name and password may access the application.